Salvation Army Director of Volunteer Services Stacey Crisp shows the donation. 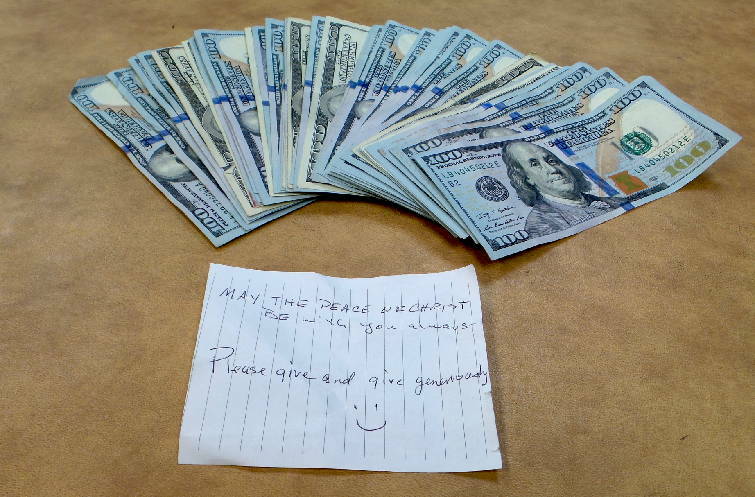 A "Secret Santa" left 50 $100 bills in the Salvation Army's red kettle at the Battlefield Parkway Kmart store Tuesday, according to a news release from the organization. 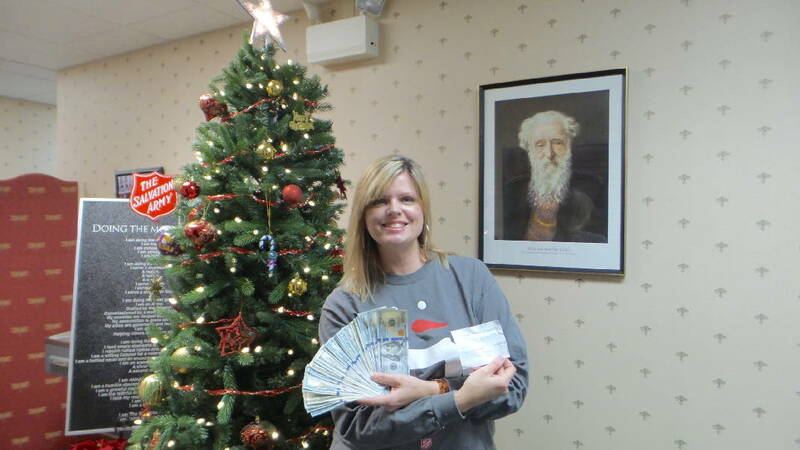 The donation was accompanied by a note that read, "May the peace of Christ be with you always. Please give and give generously!" "We are always surprised and always grateful when we see such a significant gift in our red kettles," Salvation Army Area Commander Maj. Algerome Newsome said in the release. "We are celebrating this gift, but also know we have a long way to go before reaching our goal of $450,000" in giving for the holiday season.